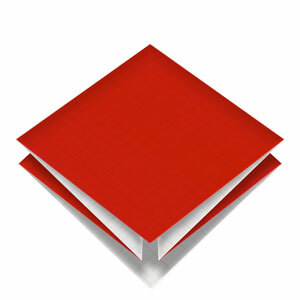 This page is for those who want the instructions to apply a square-fold in origami. Square-fold consists of two valley-folds and one horizontal mountain-fold. This technique is usually used to make a base called a square base. If you are ready now, let's have a fun learning to apply a square-fold in origami. Here you will learn how to apply a square-fold in origami. A square-fold consists of two valley-folds and one horizontal mountain-fold. 1. Prepare to apply a horizontal valley-fold and then unfold. 2. Prepare to apply a vertical valley-fold and then unfold. 3. Prepare to rotate the paper by 45°. 4. Prepare to mountain-fold in half horizontally. 5. Prepare to unfold the mountain-fold that you have just applied. 6. Prepare to apply a square-fold consisting of two valley-folds and a horizontal mountain-fold. 7. Congratulation! You have completed applying a square-fold.